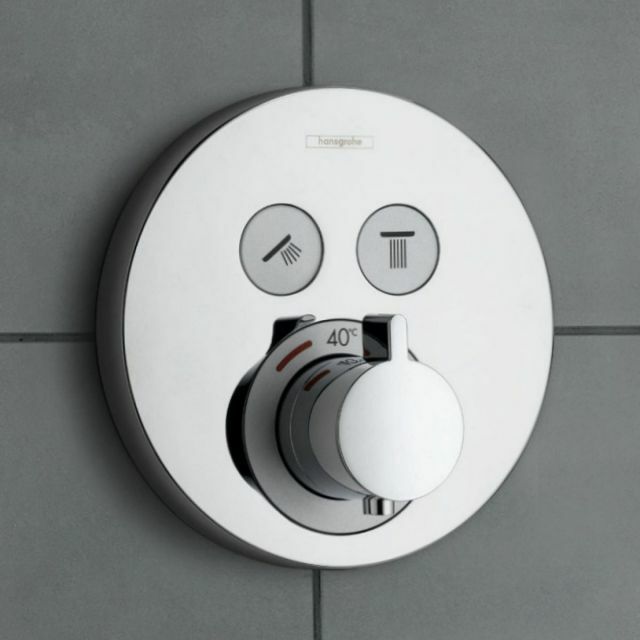 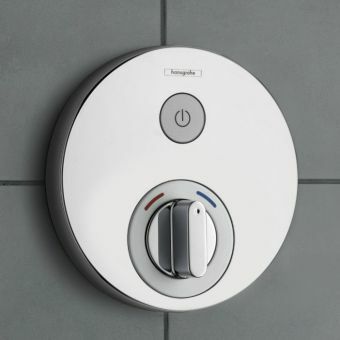 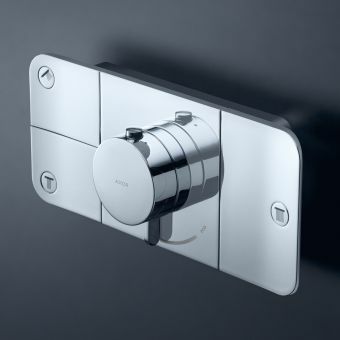 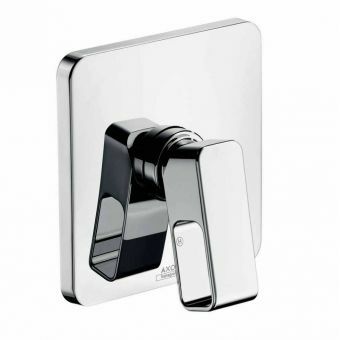 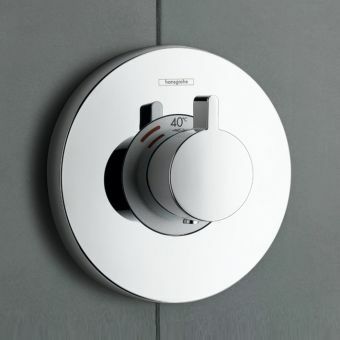 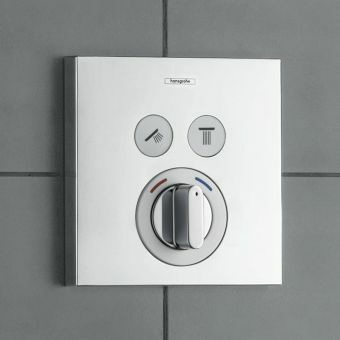 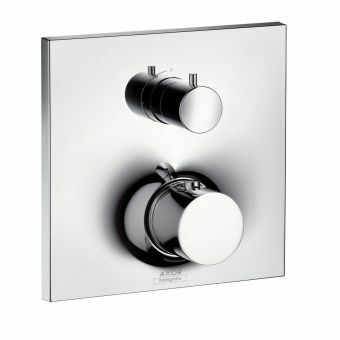 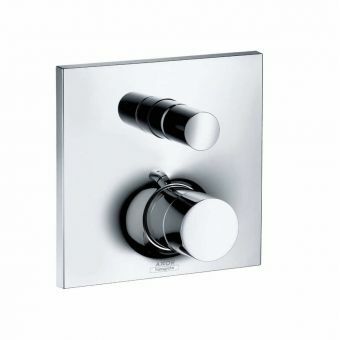 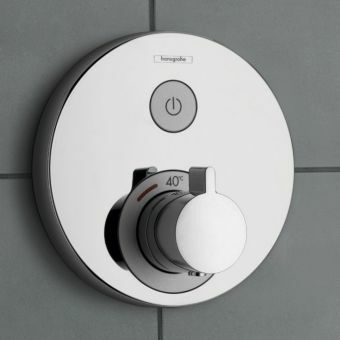 Designed to run 2 outlets, with thermostatic temperature control. 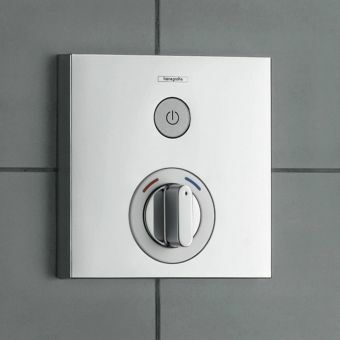 2 outlets can be run simultaneously. 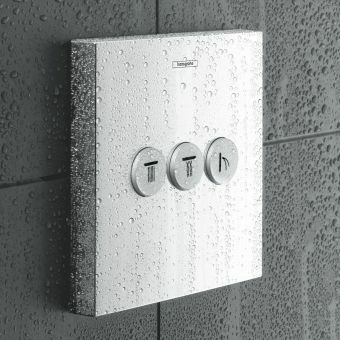 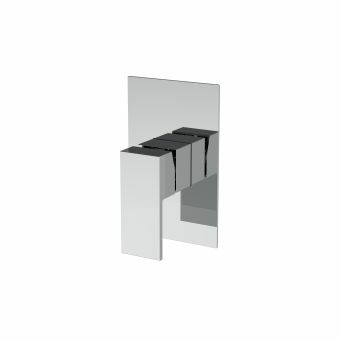 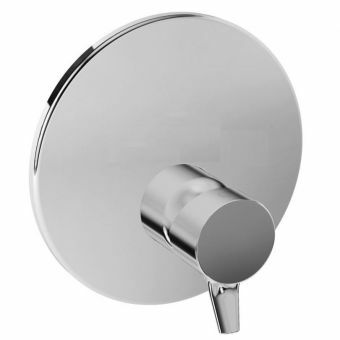 The ShowerSelect S finish set is a round variation on the ShowerSelect, it offers a compact and modern appearance, making a sound choice in the contemporary shower enclosure. 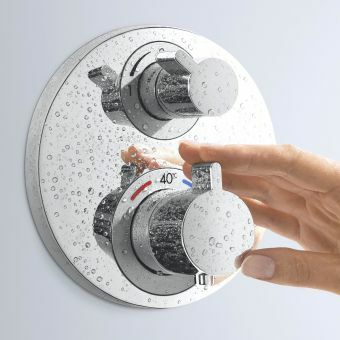 Marked with clearly defined red and blue temperature indicators, and an innovative stop-start function, this set could not be easier to use. 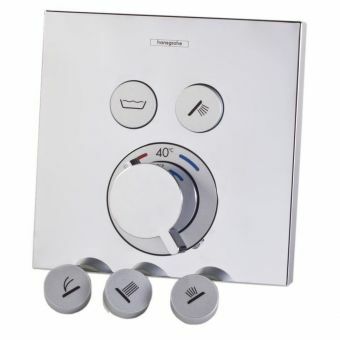 With a maximum temperature locked out at 40 degrees, it ensures a comfortable shower and prevents scalding. 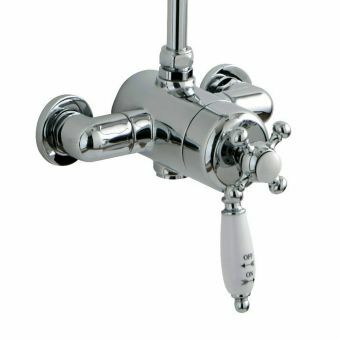 Suitable for use with high-pressure systems running from 1 to 3 bar, this unit has a flow of 22 litres per minute. 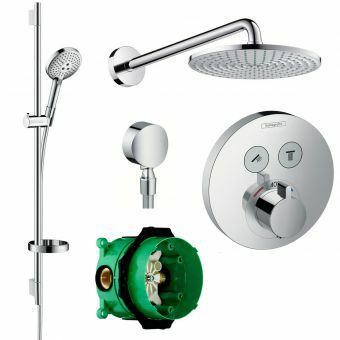 Additionally, each set is available as a convenient package with its required iBox to provide a fuss-free installation.